The Lord not only wants us to have salvation through Christ, He also wants us to be a reflection of Christ. If Christ lives in our hearts, then why doesn’t this automatically happen? Why don’t we naturally reflect Him? Being a “living example”of Christ all depends upon our moment by moment choice. Reflections of His Image, the companion book to Private Worship: The Key to Joy, will provide you with just the practical tools you need to learn to “walk after the Spirit” so that you can be a genuine illustration of Christ and reflect Him in all you do. To follow after the Spirit simply means to read and hear God’s will, to be willing to do His will and then, be willing to get up and walk out His will. This study book will teach you exactly how to do this. 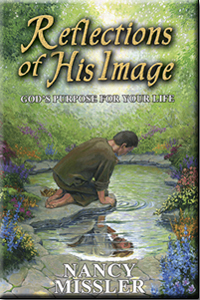 Learn more about Reflections of His Image with these supporting materials.